A couple of months ago, my husband and I piled our youngest kids and the dog into the car and drove 1,500 miles to Florida to spend time with the rest of our blended family - our big kids, who were with their mom and stepdad. That’s 1,500 miles each way. I’ll be honest with you: I was really worried about the trip. I’m not big on camping, or on long drives, and knew that this trip would be a little of both. But kenneling the dog and flying the four of us there would cost more than a mortgage payment, so in spite of my misgivings, driving seemed to be the best way to go. The trip started ominously: Intended departure time: 4 a.m. Amended departure time: 10 a.m. Actual departure time: 1:51 p.m. Time of first “Are we there yet?’’: 1:57 p.m.
Because we left so much later than we intended to, we had to scrap plans to stop over with relatives along the way. By the time we arrived the kids were amped and the adults were wrecked, but you know what? The drive was fine. Fun, even. 1. Pack plenty of snacks. Junk food can double as a bribe, of course, but granola bars, string cheese, fruit, and even cereal work well in the car. Don’t forget to bring munchies for Mommy and Daddy, too. Yes, there were plenty of fast-food joints all along the route, but after 30 hours (there) and 29 hours (back) of, well, grease on a bun, I was longing for a salad. Or sushi. Or anything that wasn’t under a heat lamp. 2. Embrace the high-tech. A dual-screen DVD player makes the time fly, but don’t forget about books on tape/CD, and even free MP3s of stories for kids. Bring your kids’ favorite DVDs - you might be sick of them, but they probably aren’t - and keep in mind that Redbox lets you rent movies in one location and drop them off at any of their other ones. 3. Look for low-tech entertainment, too. Wikki Stix and wipe-clean board books are fantastic when you’re traveling, and can be put to good use once you’re at your destination as well. Preschoolers and toddlers are too young for map-based games or road trip bingo. My preschooler reached again and again for a three-ring binder that I’d filled with coloring pages, blank paper, puzzles, and simple stories from NickJr.com and PBS.org. 5. Focus on the positive. 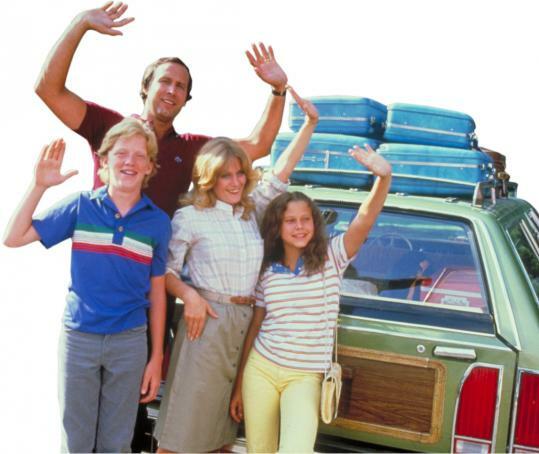 The difference between a delightful road trip and a disastrous one is mostly mental. Even if you’re apprehensive, stay upbeat. Don’t forget that even a bad trip can make for a good story after the fact. Lylah M. Alphonse writes about parenting news, tips, and trends at Child Caring on Boston.com/Moms. Her new blog, In the Parenthood, debuts there next month. E-mail her at lalphonse@globe.com.